Four days after moving into my apartment I discovered mold growing on the walls in my apartment. My first thought was that the walls were just dirty and I could go over them with bleach; but as I investigated further, mold was present behind my wall paper. The mold was not only in-between the concrete wall and the wall paper padding, but between the wall paper padding and the wall paper itself. Immediately after finding the mold, I contacted my boss at YBM. I was furious and couldn’t believe that my company would let me move into a place that was clearly a major health hazard. To make matters worse I was worried that the company might not do anything about the problem. 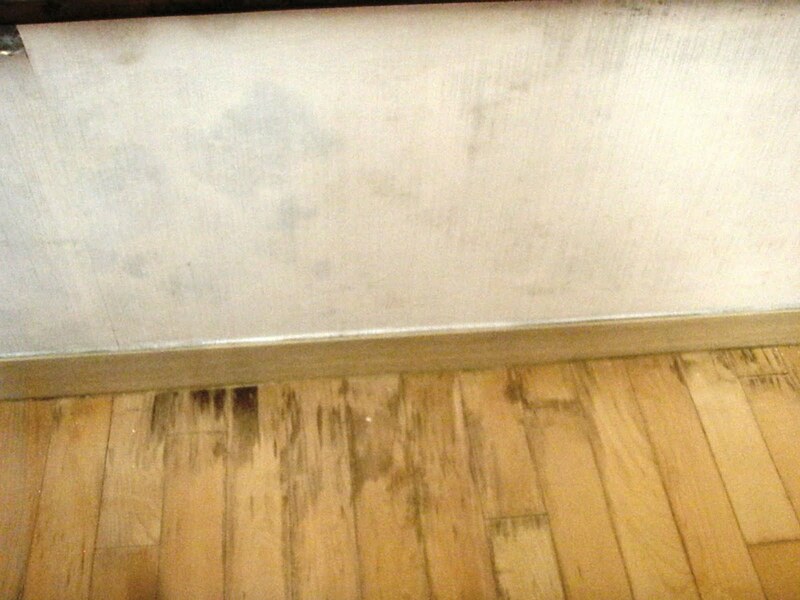 Several websites stated that mold was a common problem in Korea and that many native teachers are told to fix mold problems on their own. Luckily, my boss was very supportive with the entire issue. A Korean man from my company named Kyi Won came to see the damage and inspected the rest of the apartment. After looking around it became clear that the person who lived in the place before me had left the large window open during a storm. The mold spread from the rotten window sill to the surrounding walls and there was also a little water damage present on the wood floors below the window. Because Kyi Won had arranged my lease with the building, he felt terrible that he had let me move into a damaged apartment. He gave me a hug and told me that everything would be ok. He also recommended that I should keep my same apartment because it was so nice. I was originally supposed to be in the apartment next door, but on move in day I was given a key for a different room. My room was supposed to be in better condition, but no one from the company came to look at it before I moved into the place. Kyi Won arranged to have all of the walls in my apartment torn down. The wall paper and dry wall will be completely replaced and a new window sill will be installed. Korea is known for having insanely fast construction and the entire repair is supposed to take only three days. Overall the situation seemed like a complete nightmare, but I am extremely happy with how my company handled the problem. My rent for the month will be pro-rated and I was able to stay with my co-worker and friend Andrea until the construction begins on Saturday. The good thing about the construction is that everything will be brand new and I will never have to worry about the problem again. The building was too good to pass up, so being relocated for a few days isn’t that bad in the long run. 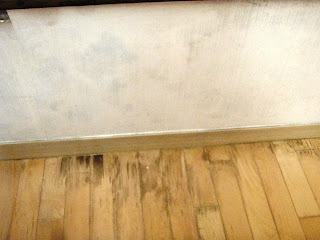 Over the past few days I have read many horror stories online about mold infestations in Korea. If you are a teacher and have a problem with your apartment you need to inform your boss immediately. The longer you live with the problem the harder it is to get a company to pay for the construction. Mold is a serious health hazard and the issue needs to be solved right away while you are relocated. Moving to a completely different apartment might be harder than you think because most companies only own a few places in each building. In my case, the only other apartment available though my company had a much higher rent and was farther away from my school. I had no idea that mold was such a common problem in Korea. 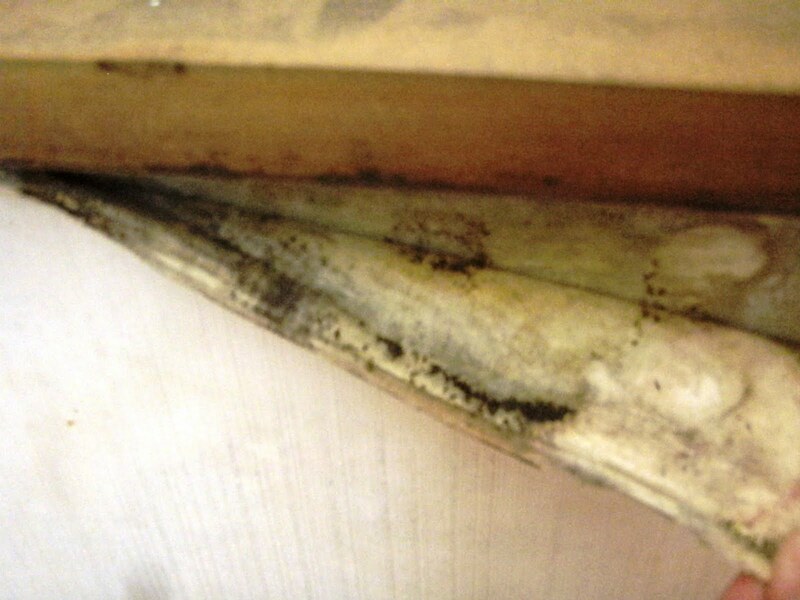 When looking for an apartment, mold needs to be the first thing you look for while viewing each room. ahhh mold! i miss you! i have lived in korea for two years teaching. My apartments both had way more mold than what you show here. Clean it with bleach every few days or weeks depending on how bad it is. open windows more often. get out of your apartment. I have asthma and it was a problem the first few weeks. But I have learnt to live with it. It is pretty common in Korea to have poorer quality living conditions than you would have in America or whichever first world country you come from. It will make you appreciate living in your future homes a lot more. Mold will grow within few days when given the right conditions. So leaving your wet towel or other item lying around inside or outside the house will give the mold a chance.